Needs a few more buttons to move around. Not have buttons that move around. 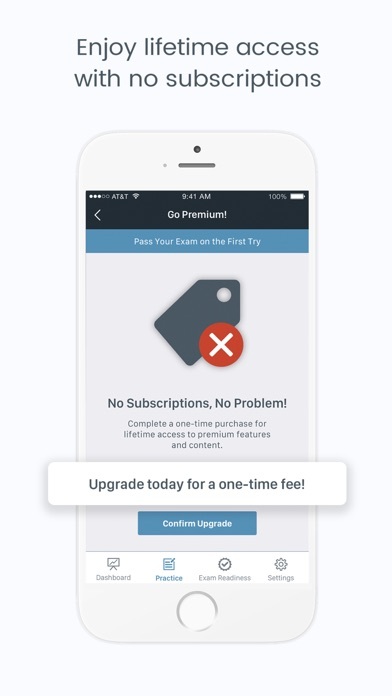 Consistent navigation set would really help this app. The question pool, I’m not overly impressed so far. Need better wording. Additionally the answer explanation could stand to be more detailed. This app is good to use when on the go, but definitely not something you want to solely rely on. 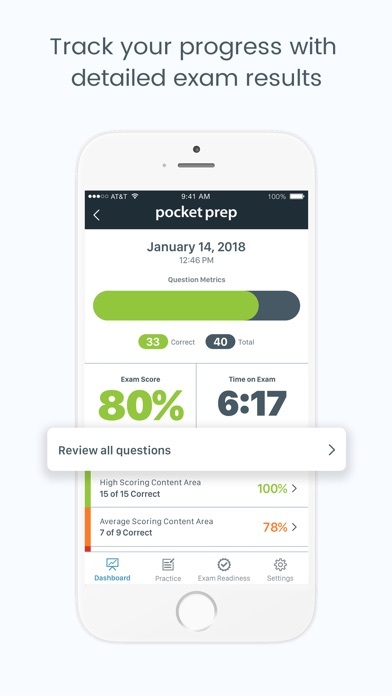 Great for supplementing with other test prep, it has tons of questions and keeps good metrics on progress. 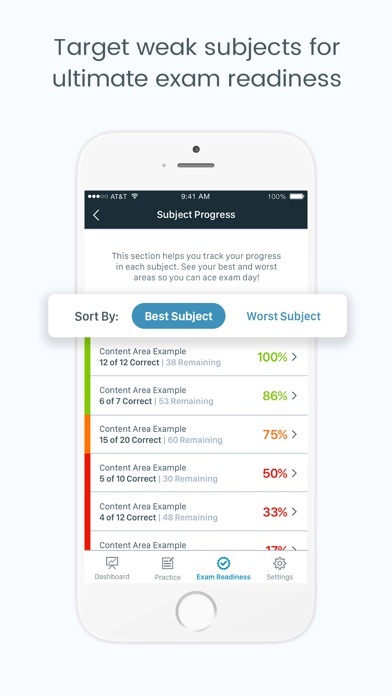 I passed on my exam on the 1st attempt using this app, and tons of other resources. Also hey, The money back guarantee is a good assurance, that’s what got me to buy the full version. Good luck ! I see a lot of positive reviews about this app but unsure if they’re from users who passed or not. I purchased the ultimate edition and must say I’m disappointed. I took and passed the live exam and used this app maybe once a week. My primary sources were Darril Gibson and Professor Messer. I would Highly encourage anyone to read his book and purchase his premium content. 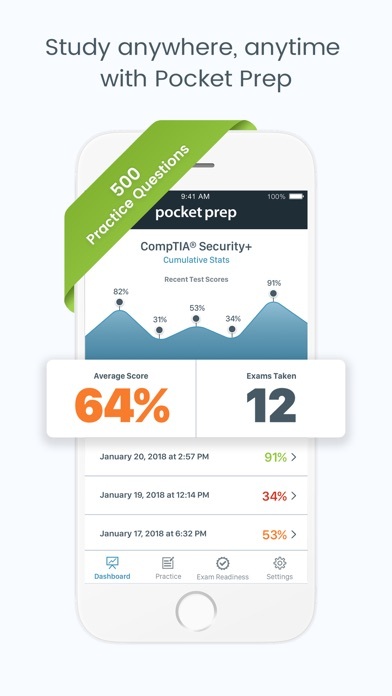 Most of the questions on this app aren’t even covered in the Comptia objectives! The live exam will mostly consist of scenario based questions, not factual based as they are in here. I’ll give them this, this app is good for brute force memorization but again, that’s about it. Lastly, I found that most of the questions and answers were completely irrelevant and not covered In the objectives. It’s more of a nice to know but not necessary. Please don’t waste your money on this! Save yourself some gas money and use the free edition which is useless as well. 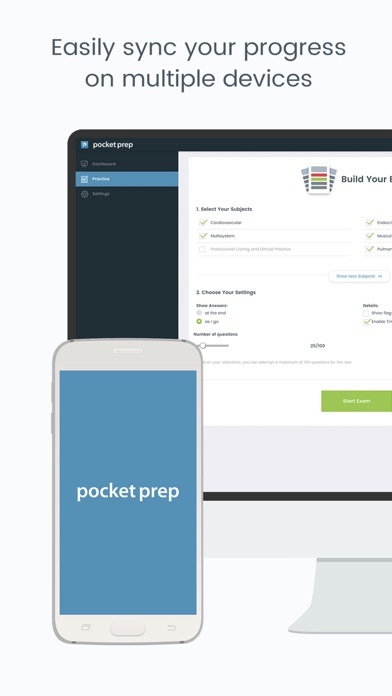 After my first failed attempt, I decided to purchase PocketPrep Security+ to help go over areas I was weak in. After consistently scoring in the mid 80s, I went for my test and passed on my second attempt! To anyone who is studying for the Security+, this will help you in areas you are weak in. I highly recommend reading a book and taking as many pretests as you can. This was was good practice for, really builds your knowledge along with your other study materials. I write questions for the SEC+, CEH, CISSP, CASP, CCFP, CCNA and some others so I know good questions when I see them. It’s also easy to see that questions are recycled from other exams, which isn’t a bad problem but it distracts from what is actually on the Sec+ exam. Some of the questions’ answers are incorrect but for the most part, they’re on target. They’re well-written and we’ll-composes questions with minimal errors in grammar and punctuation. The questions are simplistic and explanations don’t go into much detail. No big deal there. The app and web portal interfaces are pleasant and nicely-presented. Overall, they have a good system of app, web portal, questions and exam setup process so I’m satisfied with my purchase of ultimate version. **** Update after Exam: Failed the exam by 3 points after repeated study of the 500 Sec+ Questions. They don’t seem to honor their money back guarantee because they don’t respond to their support email. Go buy other app! Waste of money! Irrelevant Questions! Do not waste your money for this app. Old and useless questions, overpriced. For this price you can buy 3 Darryl Gibson app which is way better than this! In addition after you purchase, there is no way they will return your money back, do not make my mistake that I maid. No customer support at all, do not reply to your requests! Wish it had explanations for the right answers AND the wrong answers. Also, this app would be THE BEST if it had a simulated flash cards for acronyms!